Cathedral City, CA: The GCVCC was the proud recipient of three awards for excellence in marketing and creative at this year’s American Advertising Awards hosted by Desert AdFed. 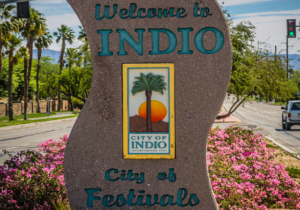 The award show annually recognizes creative excellence within the Coachella Valley, with winners (Gold) advancing on to compete in regional and national competitions. The Chamber won three awards on the night. Gold ADDY – Logo Design, Greater Coachella Valley Chamber of Commerce.